The Changsha J&W Electronics Co., Ltd. Vacuum Tube Division is long-term commitment to the research, development, production and sale of audio vacuum tube. Products are exported to more than 30 countries and regions in the world, such as the Americas, Europe, Australia and Southeast Asia etc. Both our products quality and our service are praised by our domestic and foreign customers. We invited Mr. Long, the member of the National Standardization Technical Committee of electric vacuum devices, to be our technical director. 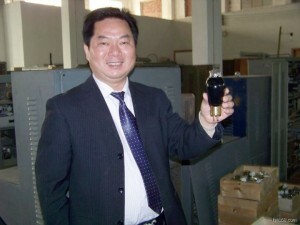 Mr. Long devotes himself to the design, research and development of vacuum tubes nearly three decades, he is also the long term director and new product chief designer in Shuguang Vacuum Tube Factory, and is known in the industry as the leading authority of the vacuum tube development and design. In year 2012 we introduced the world’s most advanced vacuum tube testing system, and created a 3-stages screening method: factory testing, factory screening, company internal screening ( specific screening methods CLICK ) to control product quality strictly, to ensure each product is qualified, so that customers will be satisfied and relieved. Upholding the principle of customer first, we fully committed ourselves to improve product quality and musical performance, offer first-class prices and service, so that our customers can really enjoy the music and the life.